Are you in, for this month’s draw? Each of the following will give you an entry .. and, the good news is, winning a monthly draw does not remove you from subsequent draws! for each computer professional, whether in systems support or at a corporate help desk, receipt of our information file folder in the mail (call us, if you have not yet received it, and we will be happy to forward you one!). If the draw winner agrees, his or her name will be posted on our web site. ALL future winners will be based on answering questions from the NEW folder. If you haven’t received your new folder yet, let us know, we will get one to you right away! 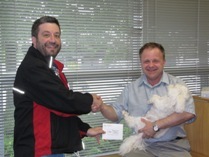 Congratulations to our monthly draw winners for February 2012; Max Mak of Ordinateur Intech, Fabreville, QC., and Troy Roach of Onsite Technology, Stratford, ON. ; winners each of a gift card from their favourite retail store. 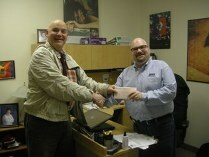 Congratulations to our monthly draw winners for January 2012; Shawn Graham of Phoenix Systems, Barrie, ON., and Scott Tompkins, PC Paramedics, Peterborough, ON. ; winners each of a gift card from their favourite retail store. December 2011 Bruce Hall of ReNewed Computers, Owen Sound, ON. Ray Long of R D Long Computers, Ottawa, ON. November 2011 Brian Lavergne of Silicon Valley Computer Systems, Nepean, ON. Rajesh Gajaria of RU-Link Computer Corporation, Mississauga, ON. October 2011 Michel Laflamme of Solitek Systems in Ottawa, ON. Scott Dargie of Scott’s Computer Emporium, Brantford, ON. September 2011 Michael Chan of Audcomp Computer Systems, Ancaster, ON. Alex Wielhouwer of Synaptic Systems in Kitchener, ON. August 2011 Randal Wark of CompuQuest Corporate Services, Montreal, QC Kevin Wood of CanTech Solutions, Kingston, ON. July 2011 Alan Nusbaum of Connectis Group, Concord, ON. Scott Woods of Computer Heroes, Kingston, ON. June 2011 Derek Keoughan of Finnegan Software, Brampton, ON. Leslie Babel of DigitalFire Computing, Oakville, ON. May 2011 Doug Grant of Tweakers Custom Computers, Courtenay, BC Jerry Kalicak of TechiesOnCall, Toronto, ON. April 2011 Steve Rushbrook of Aca Tech, Inc., Dorval, QC. Sabrina Whetham of Whetham Solutions in Barrie, ON. March 2011 Benny Wong of BenBen Computers, Kanata, ON. Greg Bullock of Asynchron Systems, Toronto, ON. February 2011 Daniel Bradbury of CREATIVEONE, Bracebridge, ON. Mary Wong of Cantatus Systems Group, Vancouver, BC., and Arshad Hussain of Your PC Helper, Whitby, ON. 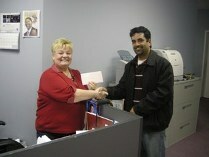 January 2011 Steve Parent of Databank IT Solutions, Windsor, ON. John Dikken of CTS Computer Products Corporation, North Bay, ON. December 2010 Jack Boulianne of Customized Computer Plus, Oshawa, ON. Chris Robitaille of Compel Technology, Markham, ON. November 2010 Glen Hacker of Hacker Consulting, Guelph, ON. Paul Cassar of Emancass Computers, Toronto, ON. October 2010 Richard Mullins of Family Computer Services, Orangeville, ON. Joe Emersic of Embur Computers, Inc., Oakville, ON. September 2010 Perry Feler of FelerNetworks Corporation, Thornhill, ON. Darrell Getz of Excel Consulting Ltd., Regina, SK. August 2010 Doris Hanlon of Granite Technical, Inc., Toronto, ON. Chad Kempt of Fast Computers, Hagersville, ON. July 2010 John Michaud, of John Michaud Computer Services, Barrie, ON. June 2010 Chris Panagabko of Neolore Networks, Inc., Ottawa, ON. 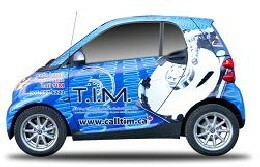 Tom Copeland of Eagle Internet Solutions, Cobourg, ON. May 2010 Dave Brunne of HyTech Solutions, Espanola, ON. Ronald Hotson of HeRo Enterprise, Picton, ON. April 2010 Rupert Bisram of Bisram Computer Services, Midhurst, ON. Peter McKechnie of Model T Computers, Whitby, ON. March 2010 Afif Hamo of Microkool Computers, London ON. Linda Jacobson of Nash Networks, Toronto, ON. February 2010 Eric Force of Forvan Technology Services, Woodstock, ON. Kenneth Mau of Infonec Computers, Markham, ON. January 2010 Dean Guzman of SCS Consulting, Maple Ridge, B.C. Martin Rausch of Canadian Computer in Oakville, ON. December 2009 Mike Elliott of Versaterm, Ottawa, ON. Gary Archer, Jimmy Ritchie, and Matt Buckingham of Telecom Computer in Burlington, ON. November 2009 Les Klassen Hamm of Bitlink Technology in Saskatoon, SASK. Malcolm Phinney of Maltam Computer Services in Sackville, NB. October 2009 Jason Gorber of Bear Shark in Toronto, ON. Shawn Seargeant of Microage in Kingston, ON. September 2009 Les Shaw and Diane Bartley of The Computer Mechanics Tech Centre in Oshawa, ON. John Caronchia of C.I.S.N. in Mississauga, ON. August 2009 Aaron Pinch of Powell River Microsystems in Powell River, BC. Jeff Moossavi of Computronic Corporation in Toronto, ON. July 2009 Robin Hiet-Block and Lee Van Iderstine of NewGen Technologies Corporation in White Rock, BC. Sandy Lum of Provident PC in Uxbridge, ON. June 2009 Earl Saunders of Campbell’s Computer Ltd. in Fort McMurray, AB. Jeff Hiemstra of Don Mills Computers in Toronto, ON. May 2009 Fred Hill of Alliance Computer Systems in Sydney, N.S. Steve Lennox of Premiere System Solutions in Richmond Hill, ON. April 2009 Jennifer Hathaway of Concise Systems in Nanaimo B.C. Jason Stronach of Dependable IT in Burlington, ON. March 2009 Winnie Finch of Electronic Engineering Systems Group Inc. Shael Risman of Pace Technical Services, Richmond Hill, ON.